When you look at subway maps, do you appreciate the skill and design that went into its creation? You really should! 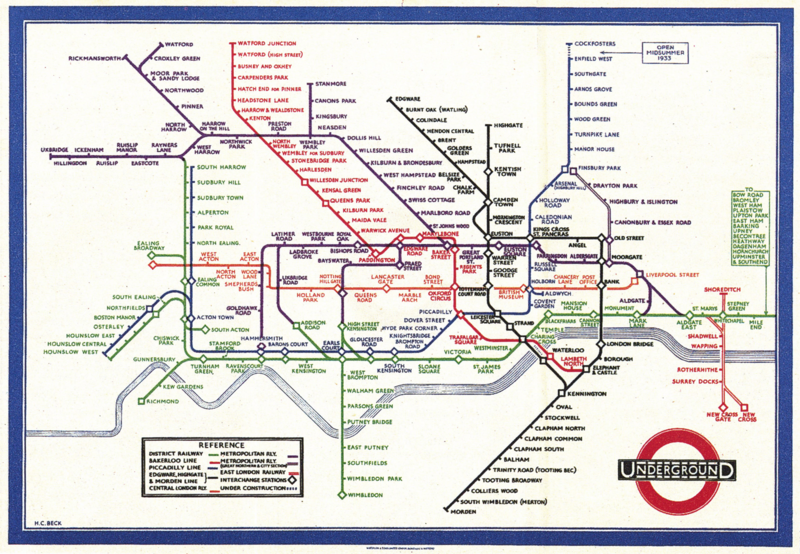 Harry Beck started a design trend when he came up with a new way to map out the London Tube system. Beck’s design has influenced the design of many modern-day subway maps in major cities around the world. So what is it about these maps that make them so brilliant? Before Harry Beck came along, a subway map looked similar to a road map; they incorporated real distance, water-ways, major roads, and county or district lines. Beck realized that the geography of the surrounding areas were not important when riding a subway underground. Riders need to be aware of the order of stations and a general sense of train direction; the specifics that cars needed, were not needed for the London Underground. As the video below states, Beck turned geography into geometry.